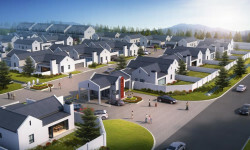 Just Property Paarl is a keystone real estate company that occupies a sizable percentage of the property market in Paarl, Wellington and Franschhoek. We are an established franchise that has quickly become one of the most respected property service companies in our area. Despite the challenging property market, we have presented growth and success. We operate in the areas of selling and letting residential and commercial properties. A mere hour’s drive from Cape Town brings one to a giant granite outcrop with three rounded domes, the prominent one of which was initially called Peerleberg or Pearl Mountain by Abraham Gabemma. Abraham stumbled on the rock in 1657 en route to find meat for the Cape of Good Hope settlement. This solid rock was to become the name of a town, which today is renowned for its very beautiful countryside, excellent wines and some incredible architecture. 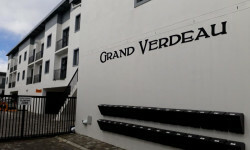 The town of Paarl has a unique character, not least because vineyards still grow in between residential neighbourhoods maintaining a country feel to a town virtually the size of a small city, but also because it is here that the struggle to gain recognition for Afrikaans as a written language was achieved. Today the Afrikaans Language Museum bears testament to this accomplishment and there is a monument to this unique language on the slopes of Paarl Mountain. Main Street Paarl is a colourful collection of beautifully restored Cape Dutch, Georgian and Victorian buildings and includes the oldest Dutch Reformed Church in the country – the Strooidak Church - and the Paarl Museum, housed in a u-shaped Cape Dutch house and home to an in-depth look at the town’s history, starting with early man and dealing with European colonisation and slavery. A large variety of grapes are grown in Paarl, including Cabernet Sauvignon, Pinotage, Shiraz, Chardonnay and Chenin Blanc and the Paarl Wine Route is also known as the ‘Red Route’ because of this. Over 25 wine cellars include Backsberg Estate, KWV, Nederburg, Nelsons Creek, Simonsvlei and Avondale that make up the popular wine route. The famous 11km long Main Street also features the Strooidak Church, Die Oude Pastorie Museum, the Patriot Building and the Gymnasium. Around the corner from the Gymnasium is the Afrikaans Language Museum. The beautiful homestead of Laborie, in Main Street, was purchased by KWV in 1972. The buildings were restored and the restaurant was built. The KWV cellar complex is the largest in the world, covering an area of 22 hectares. The magnificent Cathedral Cellar, with its barrel-vaulted roof and large carved red wine vats, depicting the history of the Cape's wine industry, is spectacular. The Paarl Wine Route Office in Main Street will be able to supply visitors with a free brochure and map on the area. 230 Main Road, Paarl, Western Cape, 7646.